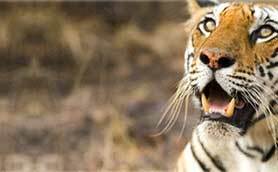 Another destination specific tour package, offered by India Jungle Tours, will last 4 nights and 5 days. 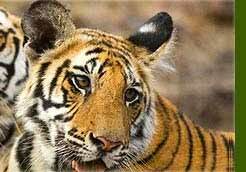 A visit to Dudhwa National Park, situated very near Lucknow is the major attraction of this tour package. Elephant ride, tiger tracking, animal viewing, bird watching and rhino watching are main highlights of this tour. You will also have a chance to visit some historical monuments of Lucknow and Delhi. 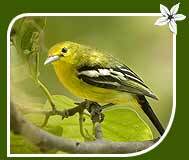 The tour package is not only for wildlife enthusiasts but also for common tourists. After breakfast connect flight for Lucknow. On arrival at Lucknow drive to Dudwa National Park. Arrive by noon at Dudhwa rest house. Afternoon jeep ride towards Sonaripur for wildlife viewing. Overnight at the forest rest house. Morning elephant ride in the jungle for tiger tracking and animal viewing. The jungle visits lasts for about two hours. Return to the rest house for breakfast & lunch. One can walk around the surroundings or bird-watch. Afternoon drive to the jungle for watching rhinos from a watch tower. Overnight stay in the rest house. Morning drive to the park. On arrival transfer to hotel. Sightseeing tour to the impressive Bara Imambara and Rumi Darwaza. Overnight at hotel. Day 05 : Lucknow  Delhi  Onward Destination. After breakfast connect flight to Delhi. On arrival sightseeing tour of Old and New Delhi visiting Red Fort, Jama Masjid, Qutab Minar and the Secretarial Buildings. Later transfer to airport to connect flight for onward Destination.